Black Donnellys Poster. 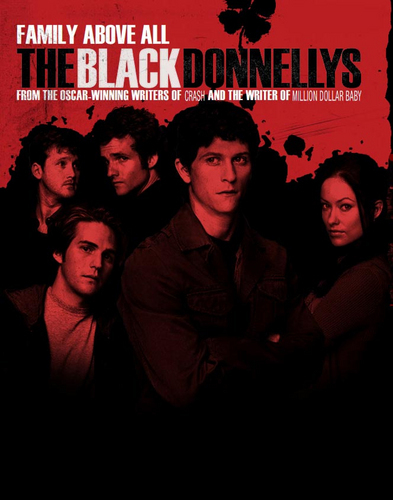 A poster promoting The Black Donnellys. HD Wallpaper and background images in the The Black Donnellys club tagged: the black donnellys poster promotional advertisement nbc tv show 2007. This The Black Donnellys photo contains anime, comic book, manga, and cartoon. There might also be newspaper, paper, magazine, tabloid, rag, sign, poster, text, and chalkboard.